SymfonyCon Paris 2015 is still on! Following the terrorist attacks in Paris on Friday the 13th of November, we would like to take a moment to express our heartfelt sadness for all the victims and offer our support to their families and loved ones. No one can comprehend something so nonsensical, so we will do what we always do here in Paris, continue standing strong and advance together. We refuse to allow fear to invade our lives. That said, and in the true spirit of standing strong, we would like to confirm that the conference will still take place on its initial dates. 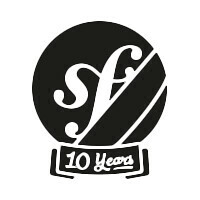 We are very excited and believe it is more important than ever to spend time with you and celebrate Symfony's 10th birthday. We contacted all our attendees on Monday to inform them as a top priority of the conference updates. France has been in mourning during the last 3 days, and to respect this we have decided not to officially communicate about the conference before then. Today, we want to make an official announcement to everyone to assure you that SensioLabs bolstered conference security to insure that all attendees are safe and secure in the theater. Rest assured specific heightened security measures will be taken. For those who would still like to register, you will also be sent these new conference security measures following your registration. More information about SymfonyCon Paris such as the last schedule details, last announcements etc. will be communicated in a few days. You can still register for the conference if you want to join us! We are more than happy to welcome you there and share these Symfony moments with you. We are thus counting on you to join the community in Paris and celebrate Symfony’s 10th birthday as we should! We have so many exciting things to share with you at the conference and hope that you will join us to show that our community is stronger than ever. If you have any concerns or questions about the event, please do not hesitate to contact us. Congrats for your very good communication - I wish you a very successful event (I cannot join, very unfortunately).